If you’ve read many of my blog posts you have probably figured out that reading is fairly high on my list of wonderful things to do. I’ve mentioned before that I hope to pass the love of all-things-bookish on to my children. As a child, I learned, and now I teach, that, among other things, reading allows one to travel – sometimes even through space and time; to meet new people and make new friends – real and imaginary – past and present. I was recently introduced to Kregel Publications and author, Susan K. Marlow. My youngest daughters met little miss Andrea Carter, Andi to her family and friends, on the Circle C Ranch. Andi’s Scary School Days was a perfect adventure for my girls! They were excited to turn every page. Circle C Beginnings is a series of books written for 6-8 years old, but my big girl enjoyed Andi’s antics as much as her younger sister did. There are four titles available now and two more due to be released in August of this year. Since I have September birthdays still ahead, I think the whole set will make a great gift. They are $4.99 each, but you get 30% off, now through August 31st, when you purchase directly from the publisher. Just enter HOME11 during check out. If you purchase from Susan’s website, you won’t find a discount, but you can order personalized copies. These are wholesome, moral, entertaining and educational stories for our children. 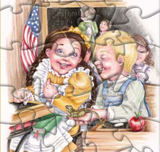 There are free downloads available – Activity Packs with coloring pages – correlating to each book. Vocabulary, math, writing, maps, history and more. The illustrations, by Leslie Gammelgaard, can be copied and colored. Circle C Beginnings are actually prequels to Susan K. Marlow’s already popular series, Circle C Adventures. 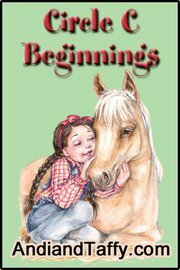 The adventures are written for 8-16 years old and feature a preteen Andrea Carter and her grown horse, Taffy. My daughters have suggested that “it would be nice if Ms. Susan continued to write about Andrea as she gets older; so she can get married and have a daughter or son of her own, and the adventures can go on and on through time and maybe across country.” I love that they are invested in the story line. How cool is that! It has been a pleasure to meet Kregel Publications. 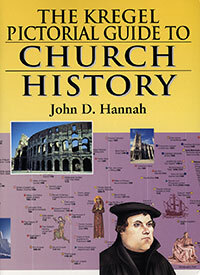 They have Biblically based resources with a backlist of over 900 titles. TOS Homeschool Review Crew members received one of Susan K. Marlow’s books from the Circle C Beginnings Series; so, you’ll want to read what they have to say – click the banner below for individual opinions. You are not the only one who wants Andi to keep on growing up. I hear that from others. For now, thank you for sharing your DDs enthusiasm for the books, and they are certainly free to write their own “sequels” to Andi’s life. Happy writing! We loved our book as well. I have added all of the books in both series to my wish list. I was so surprised and honored to get a personal comment from the author! She made my week! Good Job. I really do like the books. When will we get the rest?